VELLORE:Family members of the late 26-year-old Shameel Ahmed of Ambur, have alleged that the Ambur Town police failed to immediately book former Inspector, C Martin Premraj, including other police personnel based on their complaint lodged on June 19 and instead actively shielded them, delaying the filing of a case on the charge of illegal detention and torture of Ahmed. The family members claim that if the police had acted swiftly by filing a case against C Martin Premraj, the former Inspector of Pallikonda Station on June 19 for illegally detaining and roughing up Ahmed, the violence that ensued could have been averted. “We lodged a complaint with the Ambur Town police on June 19, soon after Ahmed was admitted to the Ambur GH for his injuries. But they did not look into it seriously and dismissed the complaint,” Mohammed Ghouse Basha, Ahmed’s father-in-law said. Basha received Ahmed from police custody on June 19. “His hands were swollen and he could not move his right hand. His shoulders were also injured,” he said. Basha alleged that the family met Ambur Town station inspector Saravanan several times, who told them that he (Saravanan) would have to discuss the complaint with the DSP (P. Ganesan) to act on their complaint. Since there was no active response from the police, the relatives along with members of the Indian Thoweed Jamath staged a protest on June 23, near Ambur Town police station, which resulted in the police arresting 27 protestors. 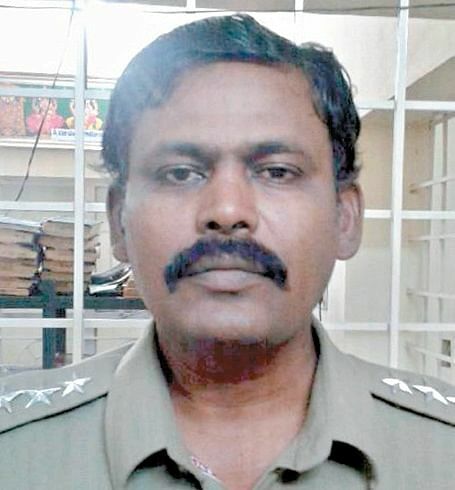 The transfer of Inspector C Martin Premraj to Vaniymabdi unit of Prohibition Enforcement Wing from Pallikonda Police Station on June 23 was, they claim, a knee-jerk response to the alarming sequence of events. Even after the protests that ensued, Basha said no case was filed by the police. The sequence of events between June 19 and June 27 brought to light Ahmed’s illegal detention and the irregularities in police actions with Muslim youth in Vaniyambadi, Gudiyattam, Pernambut and Melvisharam becoming aware of police negligence through WhatsApp. Ahmed’s death created a sense of collective unease that possibly sparked the June 28 rioting and violence in Ambur town, Basha said. “If the police had followed proper procedures and filed a case, it would have defused the tension immediately. The suspension of the inspector and CB-CID inquiry are delayed response,” he added. Police officials have also admitted the lapse on their part. Sources in the CB-CID, said that the then Inspector of Pallikonda, Premraj has been issued a summons for an inquiry in connection with Ahmed’s death. Vellore: Black flags were hoisted in a few houses in Sandrorkuppam and Bharathiyar Nagar in Ambur on Tuesday condemning the violence on June 28 and demanding the revocation of the promulgation of Section 144 of CrPC for 10 days with prohibitory orders in force from July 6 to July 15, 6 PM.